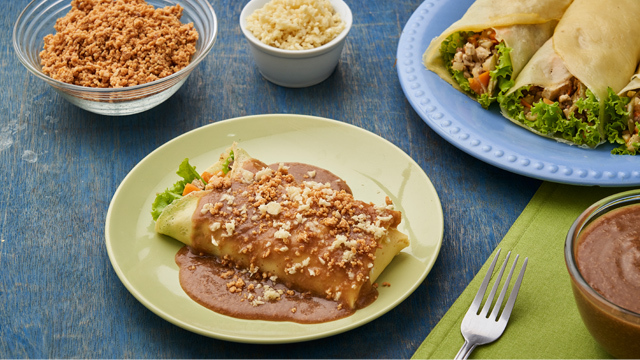 These meals are delicious, low carb, high protein and will keep you full all day, too! January is the Christmas for the gym industry, and for good reason. Fresh from the yuletide festivities, everybody is racing to lose the happy holiday pooch. Most people see the new year as the perfect time to finally get fit, eat right, and live healthy. The first step to a healthier you is food—the only way to really change your body is to change the way you eat. You could work out all you want but if you don’t have a solid nutrition plan, you won’t get the results. Exercise is only a stimulant that changes your body depending on your food. 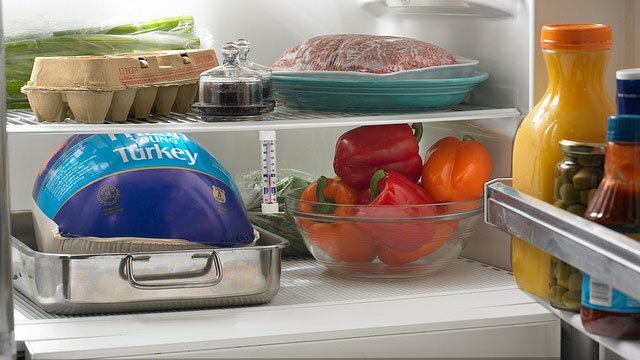 It’s easy to get lost in the world of meal prep, so here’s a good place to start. This 2,000-calorie per day meal plan covers four meals and two snacks per day for 5 days of the week. It is important to note that how many calories your body actually needs depends on your age, gender, weight, and level of physical activity. 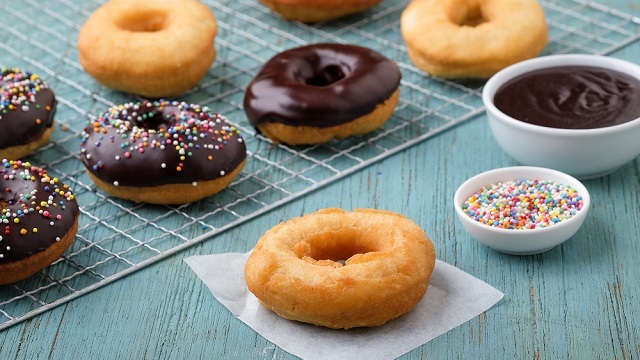 2,000 calories is frequently stated as the caloric benchmark for the average adult.  We made sure that this meal plan consists of healthful, filling choices that help you reach your nutritional needs and stay full throughout the day. We also took into consideration the distribution of calories per meal and per food group. 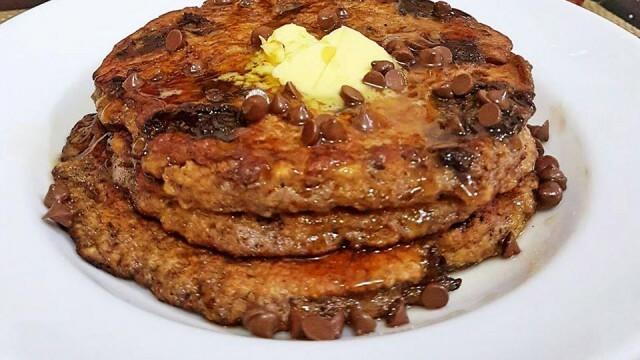 This particular meal plan is based on a moderately low carb and high protein diet with an approximate ratio of 40% carbs, 30% protein and 30% fat. This puts the carb intake at just 10% below the recommended 50% for adults. With so many nutritious and flavorful recipes, you would be surprised how easy it is to develop healthy eating habits. 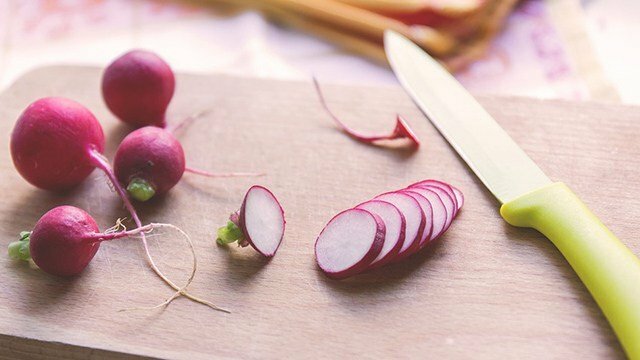 Give this meal plan a chance and kick-start a healthy 2018! 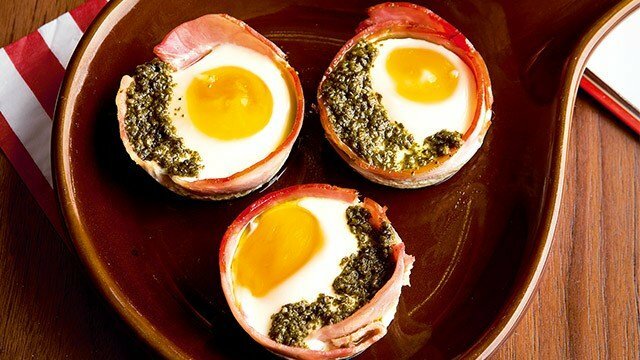 These bite-sized breakfast treats are packed with protein to start your day right! 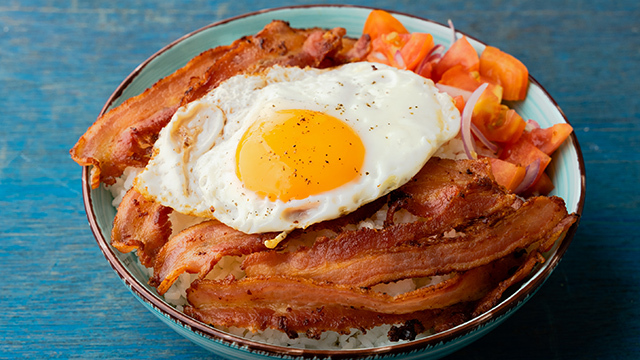 Power up with a tasty breakfast of ham and eggs! 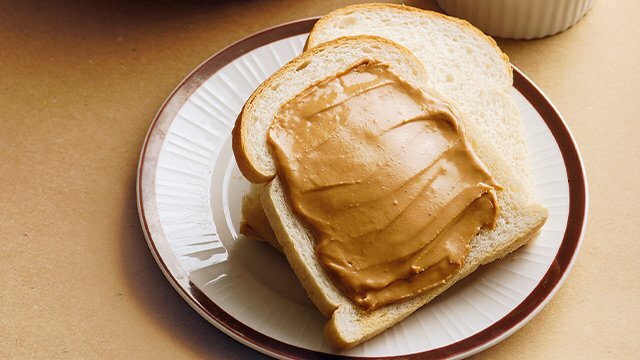 Peanut butter is packed with healthy fats that keep you satisfied longer. Look for peanut butter that's low in sodium and sugar, or make your own. Skip the java rice and pair your chicken with brown rice and a side of mixed greens with avocado. 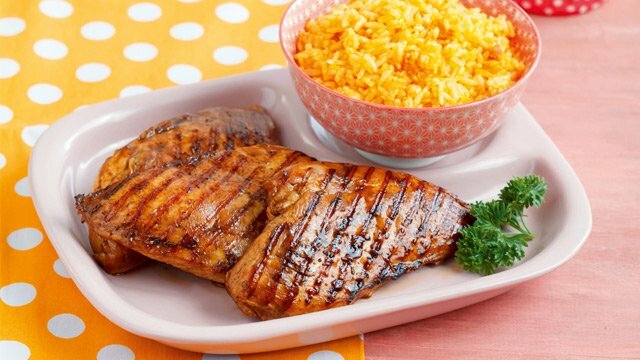 What comes after every bite of these sweet, juicy chicken fillets and spoonfuls of flavorful java rice? The biggest smiles of satisfaction you?ll ever see! With higher protein and fiber content, quinoa is a great alternative to rice that will keep you full longer. 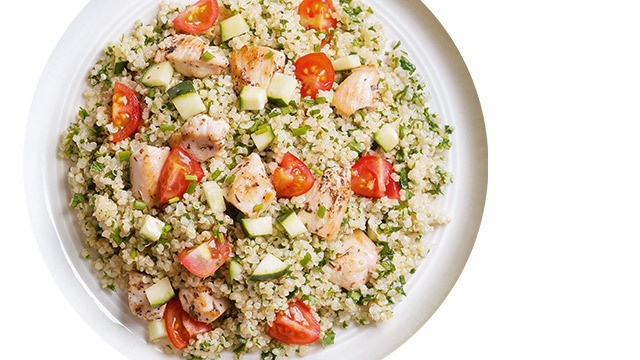 This healthy chicken recipe replaces rice, an Asian meal staple, with quinoa. Nuts are a smart swap for breadcrumb or cracker crusts. 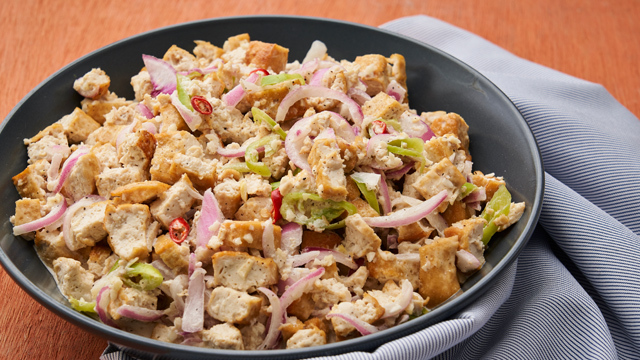 This recipe uses our very own pili nut to add a satisfying crunch to a healthier fish fillet. Indigenous to the Philippines, the pili nut has the highest magnesium content and has more vitamin E than any nut. This egg-free dish highlights tofu as a breakfast star. 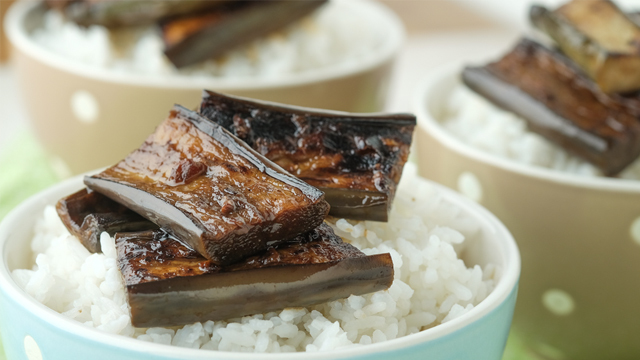 Tofu is an excellent source of protein not only for vegans and vegetarians, but for everyone. 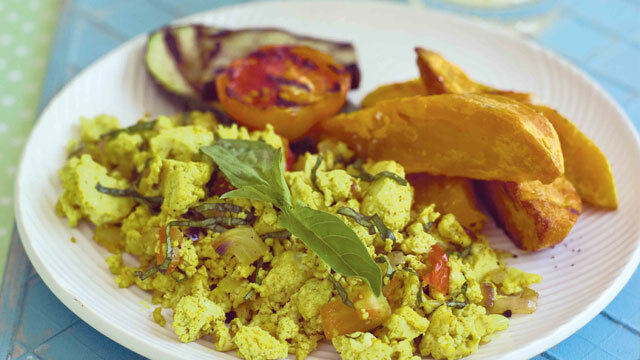 This tofu scramble is high in protein and a great egg-free dish to have in the morning when oatmeal just won't cut it. 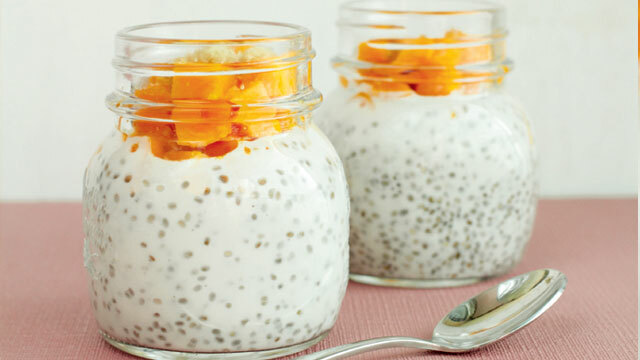 Chia pudding is the easiest thing to whip up as a healthy snack. You can buy chia seeds at S&R Membership Shopping and most specialty health stores. No time to cook breakfast? Prep this the night before. 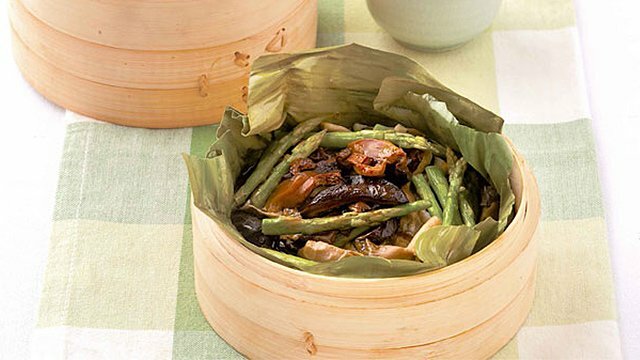 Steamed chicken, mushroom and asparagus in a banana leaf parcel make an incredibly healthy, delectable dish. Filled with chicken, mushrooms, and asparagus, this steamed dish is flavorful and healthy to boot. 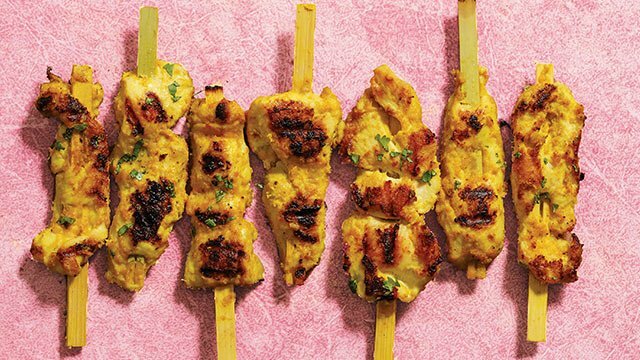 Smoky grilled chicken with peanut sauce is a great way to reach your protein requirements and enjoy it, too! 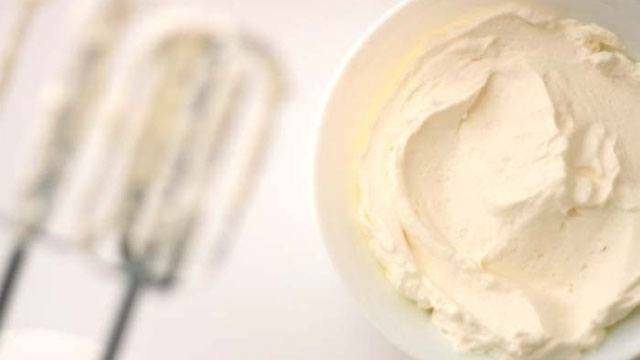 Try to limit your sauce to a tablespoon as it has calories as well. Pair the chicken with a low-calorie cucumber salad and packed with nutrients. 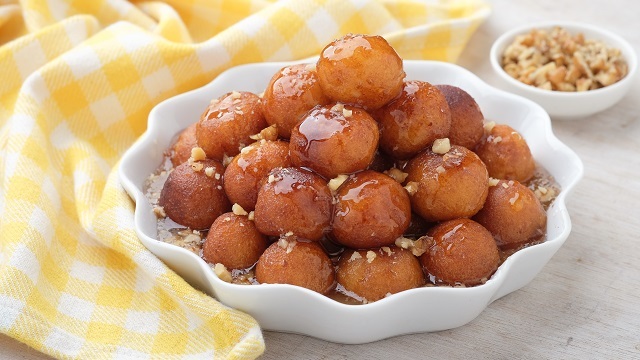 Don't forget the sweet peanut sauce! Make a miso-sesame cucumber salad to go with your Asian mains! 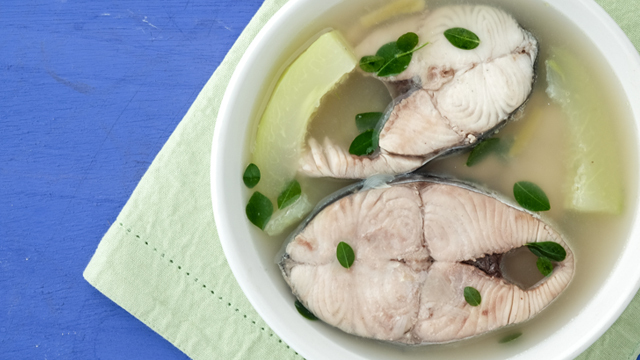 Herbs and lemons bring out the flavor of any fish – which is a great choice for protein, especially if you're trying to lose weight. 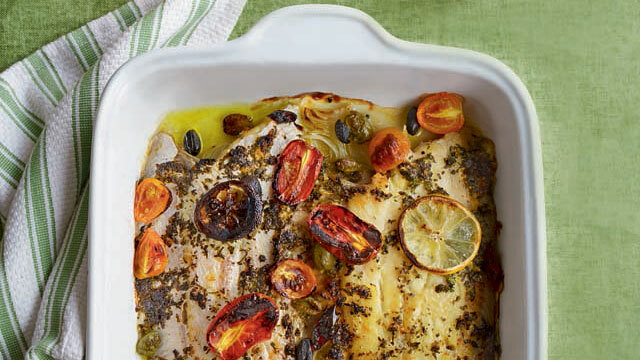 Bring the subtle flavor of fish to life with herbs and lemons. 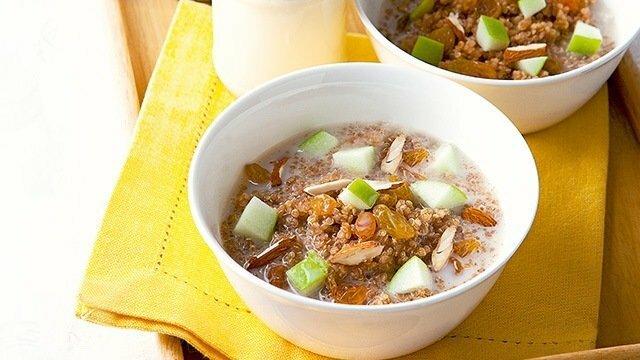 This sweet twist on protein and fiber-rich quinoa will keep you energized all day! Add extra protein to your breakfast with four eggs (1 whole egg plus 3 egg whites) cooked any way you want. 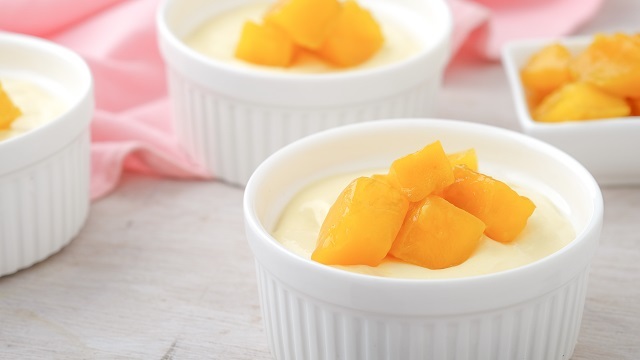 Try this warm, comforting pudding! Peanut butter just makes everything better. 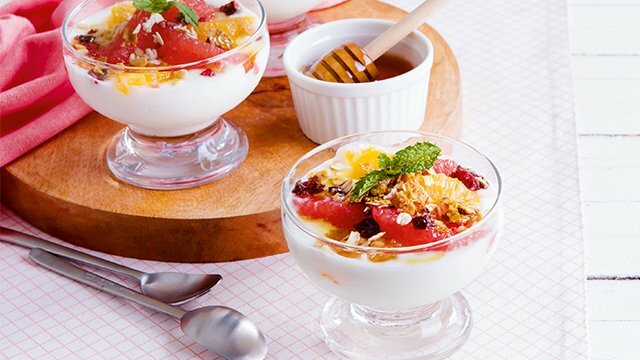 Grapefruit is rich in vitamin C, potassium and lycopene which all contribute to health. 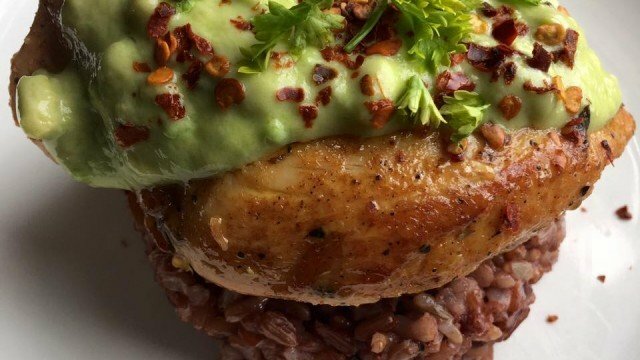 The creamy avocado sauce adds both flavor and nutrients to this chicken dish. Broccoli is a mainstay in bodybuilder's diets. It's rich in fiber and vitamins C and K.
Healthy meals don't have to be boring! This easy vegetable stir-fry is the perfect healthy side dish for any meaty main! 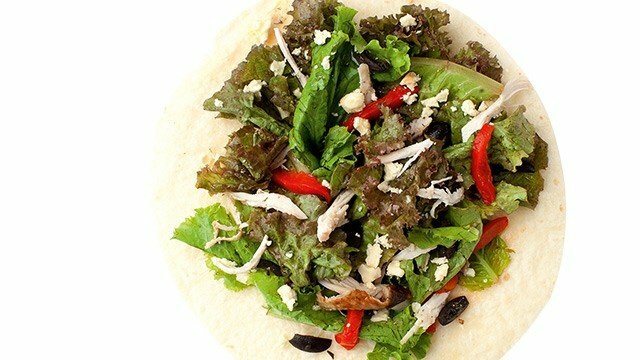 Hefty servings of roast chicken make this salad a great, filling meal on its own. Make your salad more hefty with roasted chicken. 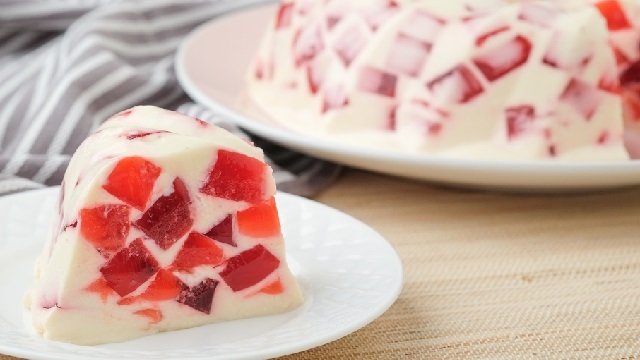 This light, refreshing dish is the perfect recovery meal to end the day. 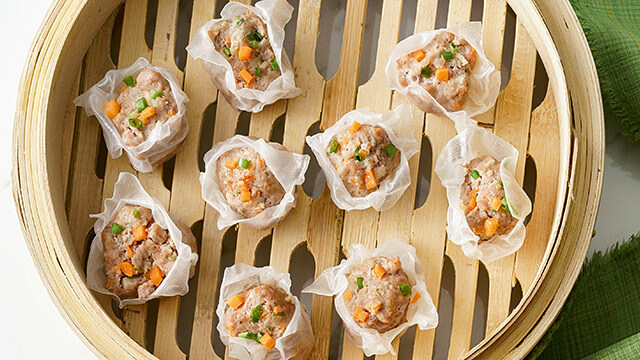 Pair with brown rice and steamed vegetables for healthy carbs and fiber. 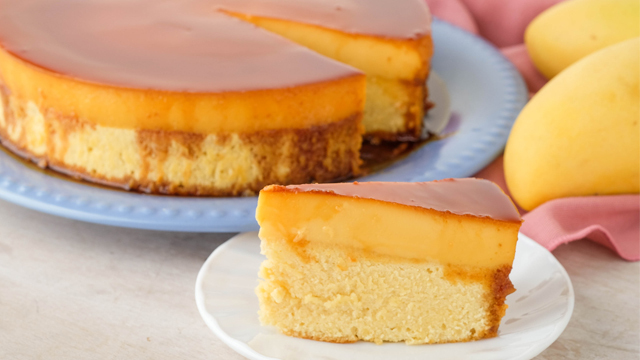 Turn to this dish on busy weeknights. 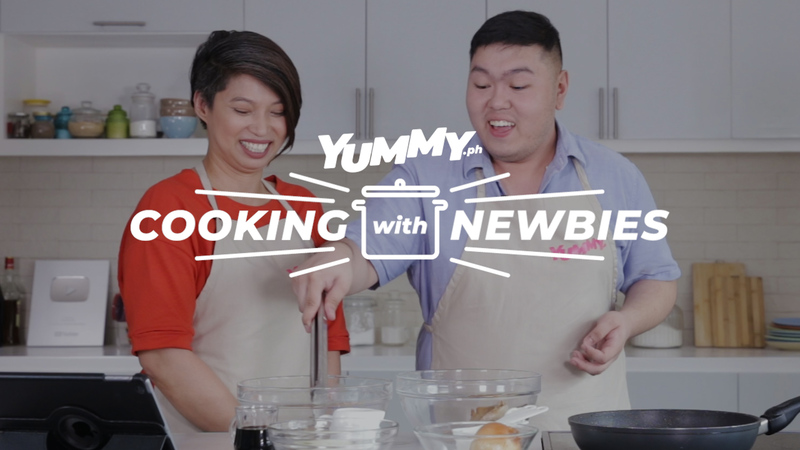 This recipe is an exciting way to prepare the usual eggs for breakfast, when scrambled or sunny side up just won't cut it. Don't forget to serve with crusty bread! 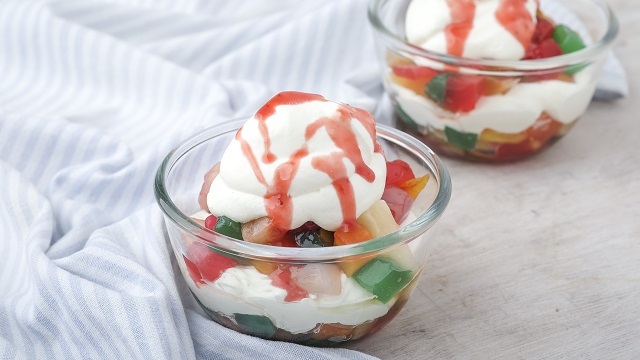 Keep your snack simple: sweet strawberries on top of cold Greek yogurt. 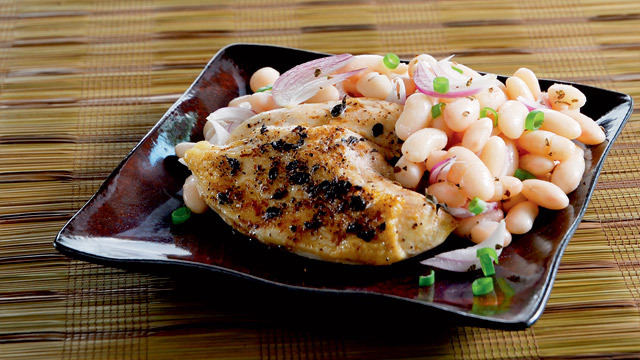 Fragrant baked chicken with a side of white kidney beans are an excellent protein-rich meal. 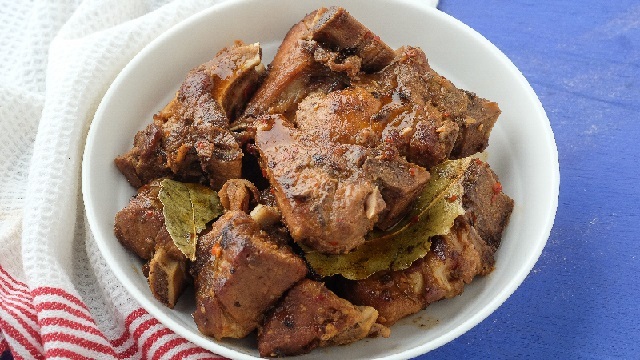 Serve with a side salad and avocado. 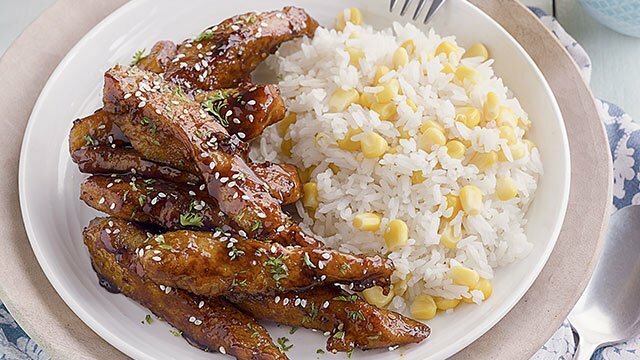 This healthy, protein-rich dish will satisfy your family's tummies! This tasty, healthy dish makes a return to our weekly menu. This time, pair it with steamed broccoli! 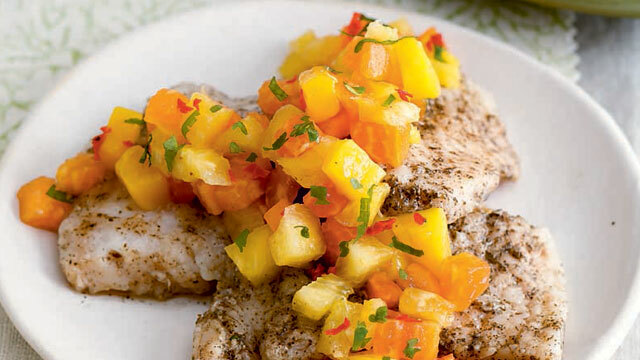 This spiced fish fillet topped with tangy tropical fruit salsa is a healthy dish you can add to your meal rotation. 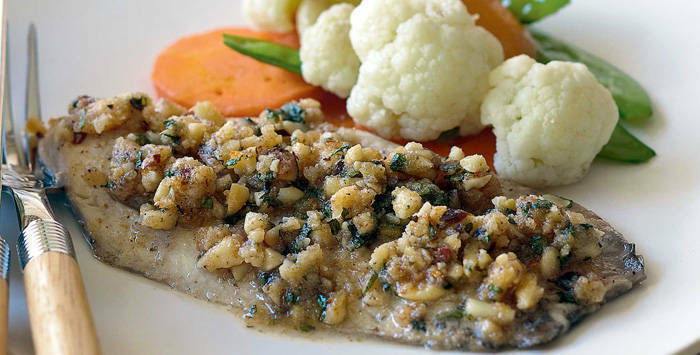 Here's a fresh new way to serve cream dory, plus it's healthy, too! 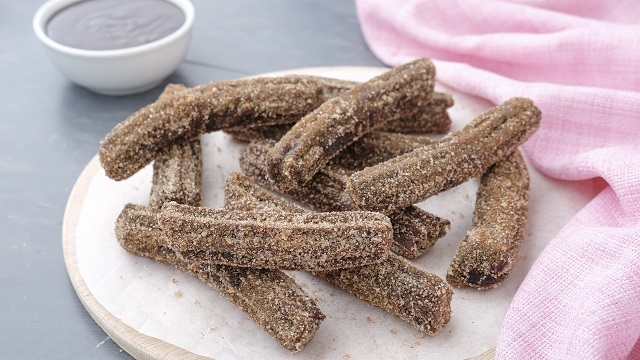 This protein and vitamin-rich treat will give you something to look forward to in the morning! 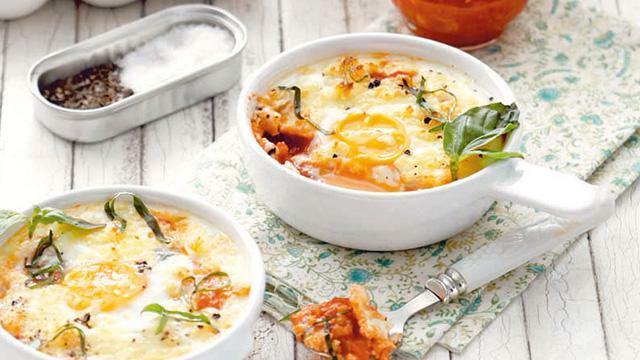 Kesong puti gives a creamy touch to nutritious spinach and eggs. 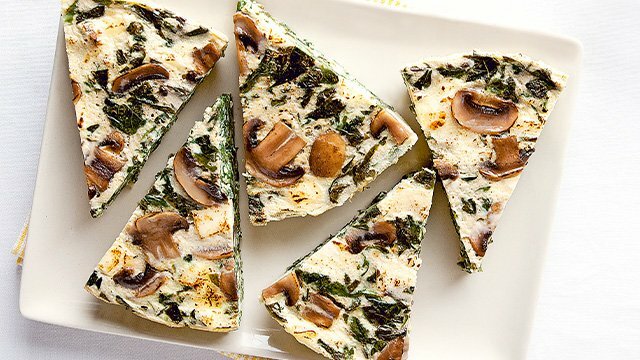 This breakfast dish is packed with good-for-you spinach, mushrooms, and eggs. 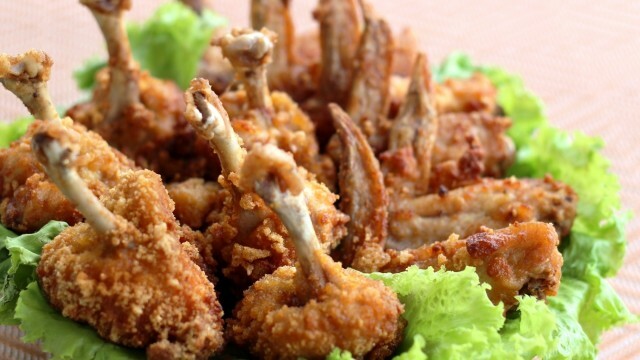 While chicken breast is king for protein, thighs are great too. 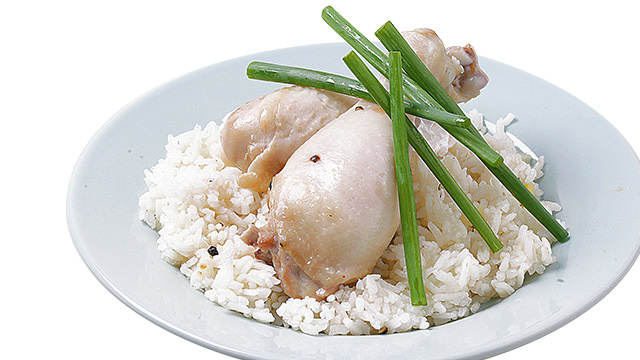 This recipe gives you a creative, healthy way to prepare Hainanese chicken in your trusty rice cooker. 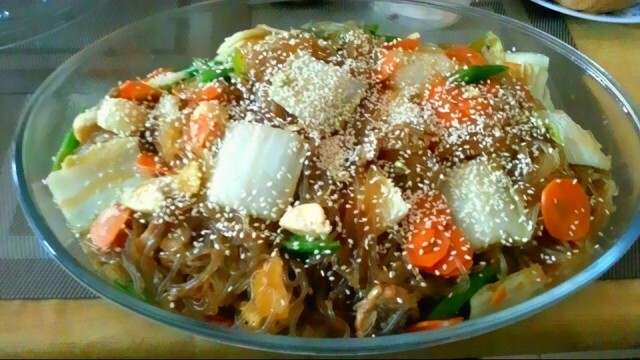 This is one of the easiest dishes you can make in your rice cooker! 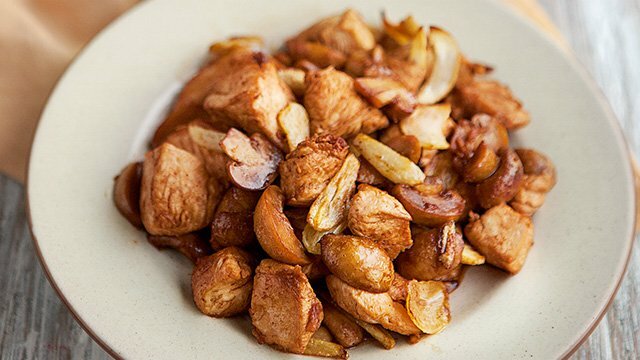 This wholesome dish makes for the perfect side dish to chicken teriyaki or beef teppanyaki. 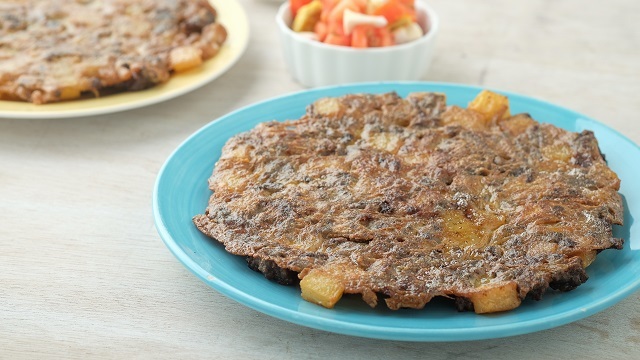 This go-to pulutan actually makes a hearty, healthy dish! 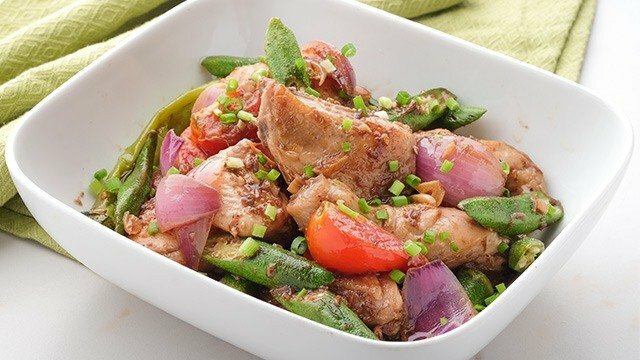 Chicken breast and mushroom make a light alternative to the usual steak salpicao. 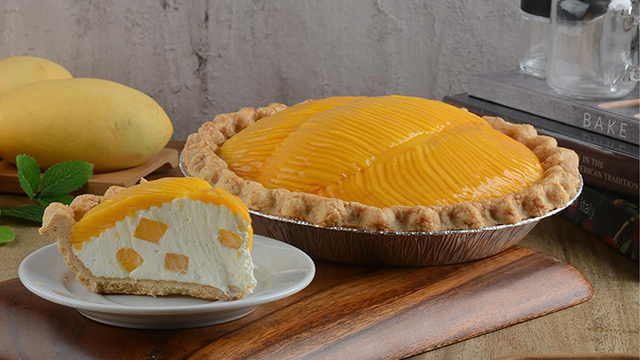 Hello, hearty lunch! Prep a steaming bowl of tasty garlic rice and you're all set. 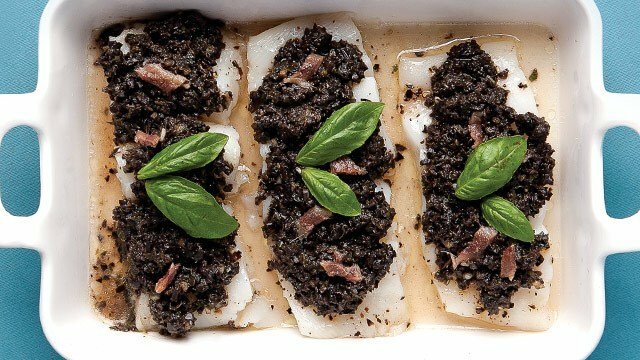 This delightful baked fish fillet dish topped with olive tapenade is a great addition to your dinner menu. Olive contains antioxidants and healthy fats which make this dish even more nutritious. 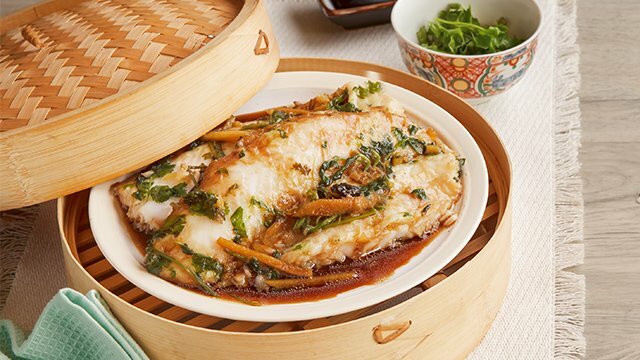 This fish recipe can also be steamed or broiled. *Above macros were calculated using mobile application My Fitness Pal. Protein intake may be based on one's current weight (average adult: 1 gram protein for every kilogram of body weight), and may be increased depending on one's physical activity level. *Percentages for macros may vary according to individual needs and preferences, and it is best to consult a registered nutritionist-dietician, especially for people with special needs and conditions (i.e. athletes, diabetics, teens, etc.). *Alexandra Dayrit, CPT is a NASM Certified Personal Trainer currently overseeing operations at UFC Gym Philippines. 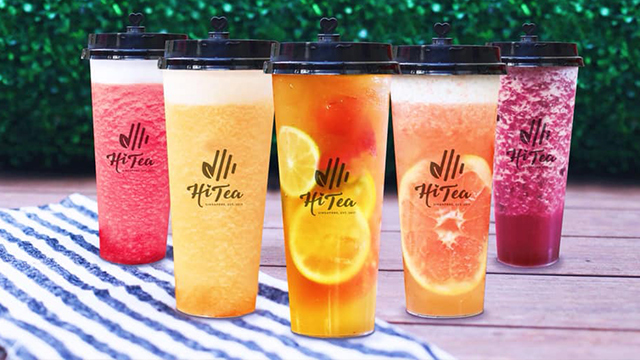 She curated this menu in collaboration with Maria Cristina Marasigan, who is a Registered Nutritionist-Dietitian and licensed teacher. It's possible to make 3 meals a day for 5 days and keep your weekly grocery bill at a minimum. 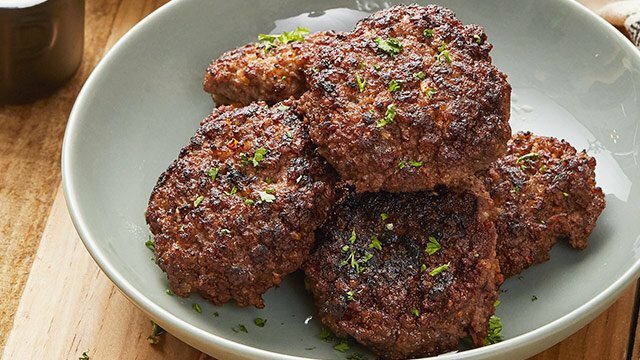 Meatballs, burgers, and stir-fries are your best budget-friendly bets.